Dr. Hany S Shenouda, MD is a Doctor primarily located in Manchester, NH, with another office in Florence, SC. He has 43 years of experience. His specialties include Endocrinology, Diabetes and Metabolism and Internal Medicine. He speaks English. Dr. Shenouda has received 3 awards. The overall average patient rating of Dr. Hany S Shenouda is Great. Dr. Hany S Shenouda has been rated by 20 patients. From those 20 patients 7 of those left a comment along with their rating. The overall rating for Dr. Hany S Shenouda is 3.9 of 5.0 stars. I had a very first appointment, I did not know what to expect, but from the first minute I understood , he is caring, intelligent, smart, experienced doctor, who knows his job very well. HE explained my problems well.I AM VERY PLEASED, WE HAVE THE BEST.Thank you. I totally agree with the the last review. I recently saw Dr. Shenouda for the first time after waiting almost two months for my appointment. He seemed very slow and kept reading notes from my referring physician and then basically I said my doctor must have requested the thyroid lab test in error. The results were very abnormal by the way. He then said he would request more lab work without explaining why or what the tests would show and said we would not schedule another appointment until we get the lab results. I called the office six days later to see if my results were in and was told the Doctor was off that day but would be reviewing the test results and would contact me later that day. Now it is the weekend and still have not heard from this doctor. I would not recommend him to anyone. I am very disappointed and wished I had thought of the escape route the person in the previous review took. This is one of the most sarcastic, uncaring, unprofessional Endocrinologist I have ever visited. I literally cried due to the foolish demeanor of this Physician. After listening to him make up stories, i decided I needed to leave without completing my visit. I politely picked up my purse, jacket and hat, told him I needed to use the restroomt, left him sitting at the CMC computer and walked out of the office as fast as I could in tears. Do not utilize any CMC owned Endocrinology practices even if you are symptomatic, thyroid levels barely within range, these Doctors will not treat you. They would rather allow CMC money to dictate their care for you. I am well aware of the Medical system and Hospital owned practices. I wasted gas and a copay to see this person. I now feel a need to abandon the MD community as it relates to thyroid care after numerous visits to obtain Thyroid care unless I absolute have to. Instead, I am going to try a ND instead. This visit was absolutely ridiculous! Thanks Dr. Shenouda for not caring and trying to make me feel crazy. You have been warned in advance of what to expect. The other reviews must have been from when he was associated with Novant. Dr. Shenouda was thorough, kind, humble and knowledgable. He explained things well. He took time with me. He knows what he's talking about. The staff was excellent, personable and efficient. It was his first day seeing patients at that particular location. Clean and comfortable place. I recommend Dr. Shenouda. 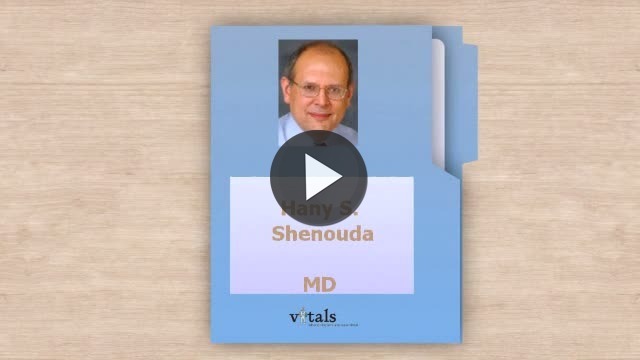 Take a minute to learn about Dr. Hany S Shenouda, MD - Endocrinology, Diabetes and Metabolism in Manchester, NH, in this video. Dr. Hany S Shenouda is similar to the following 4 Doctors near Manchester, NH. Have you had a recent visit with Dr. Hany S Shenouda? Select a star to let us know how it was.